This is the rotating skewer that cooks food evenly over a campfire. 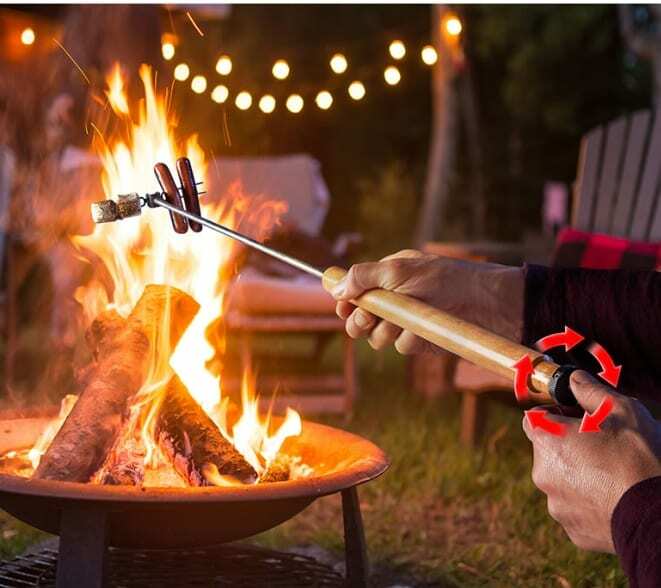 A manual crank at the handle enables you to spin a pair of two-prong spits with a simple twist of the thumb, letting you char, roast, or toast your preferred hot dogs, sausages, or marshmallows. The stainless steel shaft and prongs clean easily, keep hands clear from the flame, and do not transfer heat to the hardwood handle.